You need certain amounts of magnesium, an essential mineral found in kelp, wheat germ, brewer’s yeast, buckwheat, almonds, cashews and whole grains. Taking magnesium supplements can also provide your required daily intake of the mineral, but they can also cause loose bowels. Before you begin taking a magnesium supplement, consult your doctor about the possible side effects and drug interactions. Magnesium is responsible for the action of about 300 different enzymes in your body, and it plays an important role in energy production, as well as DNA, RNA and bone synthesis, explains the Memorial Sloan-Kettering Cancer Center. Magnesium also helps to manufacture protein, fatty acids and adenosine triphosphate, or ATP, which is the energy your body needs to function. Additionally, magnesium regulates insulin secretion, relaxes your muscles, activates B-complex vitamins and supports blood clotting. Loose bowel movements or diarrhea are common side effects when taking magnesium supplements, says the University of Pittsburgh Medical Center, and even moderate doses can cause these effects. This can serve as a benefit -- for example, magnesium is often included in laxatives due to its stool-softening effects, notes the University of Michigan Health System. However, at high doses, magnesium supplements can also cause side effects like nausea and vomiting, stomach cramps and more severe diarrhea. Contact your doctor if you're suffering from severe loose bowels or diarrhea. Over time, diarrhea can contribute to dehydration and post a health risk, and might even disrupt your body's electrolyte balance. If you're pregnant diarrhea has the additional risk of potentially inducing labor, explains the University of Maryland Medical Center. Aside from loose stools and diarrhea, magnesium supplements can also cause harmful effects in people with kidney disease, cautions the University of Michigan Health System. Magnesium can also interact negatively with certain medications. Magnesium supplements can interfere with amiloride, oral diabetes medications and tetracycline or nitrofurantoin antibiotics, warns the University of Pittsburgh Medical Center. Magnesium can also interfere with digoxin, neuromuscular blockers, folate and iron, says the Memorial Sloan-Kettering Cancer Center. The recommended daily intake of magnesium is 310 to 320 mg for women and 400 to 420 mg for men, but therapeutic dosages can range up to 1,000 mg per day, according to the University of Pittsburgh Medical Center. The American federal government has capped the safest recommended dosages of magnesium supplements at 350 mg per day for adults. 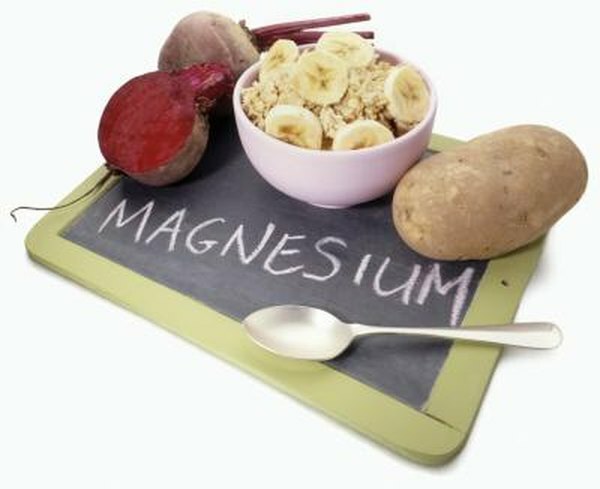 Higher doses of magnesium can worsen the symptoms of loose bowels and diarrhea, warns the Memorial Sloan-Kettering Cancer Center. Ask your doctor about the amount of magnesium supplements that’s right for you.